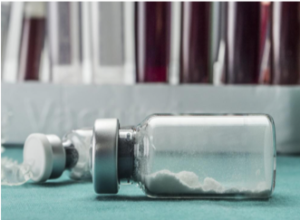 Fresh Frozen Plasma vs Lyophilized: What should your lab use? | George King Bio-Medical, Inc.George King Bio-Medical, Inc.
Coagulation laboratories have a variety of choices for reagents. What are the differences and why are they important? 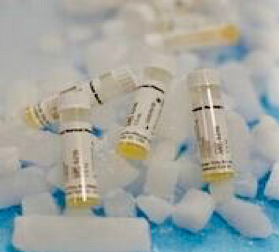 Fresh frozen reagents are collected from the donor and frozen immediately. After thawing, they require no preparation, thaw and go. Lyophilization is the process of freeze drying a reagent to remove the liquid component. as prescribed in the package insert. The biggest concern with lyophilized reagents is the possibility of reconstitution error. not subjected to any process or manipulation, the matrix, viscosity, turbidity, composition, and color remain consistent with your patient sample. Fresh frozen reagents save your laboratory time and reduce the risk of reconstitution errors. not subject to further processes or manipulation of any sort. As a result, you can be confident in the results you are reporting. Münster, Marion. “Quality Control in Coagulation Testing.” Sysmex Educational Enhancement and Development, July 2012, pp. 1–5., doi:https://www.sysmex-europe.com/fileadmin/media/f100/SEED/Quality_control_in_coagulation_testing.pdf. Algeciras-Schimnich, Alicia. “Quality Control Is an Important Measure of Laboratory Test Precision | ClinLab Navigator.” ClinLabNavigator, 10 Jan. 2018, www.clinlabnavigator.com/quality-control.html.